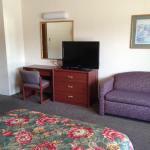 The bel aire motel Missoula Mt provides the guests with clean and comfortable rooms. Laundry facilities are also offered to the guests. A cup of hot coffee is also offered to the guests in the morning. Free parking service is also available. The front desk is opened every time so the guests can be greeted at any time of the day or night. Free Wi-Fi services are also offered in public areas. Vending machine facility is also available. Pets are also allowed upon request. Many beautiful spots surround this motel. The University of Montana is 1.4 km away, 4B's Family Restaurant is only 0.5 km away, Press Box sports bar Cafe/Bar is just 0.6 km away, there are many other places as well and the guests can easily reach these places by walk. Bel aire motel Missoula has gentle and friendly staff, a wake-up service is also available in each room. 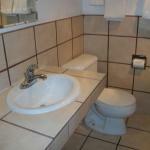 This motel is rated as the best motel among other Missoula motels due to its excellent services. A city in western Montana, Missoula is full of interesting things and places. The visitors can do numerous amazing things here. Exploring attractions, art museums, enjoying biking, rafting, hiking, horse riding, cross-country skiing, wildlife, live music, fishing, finger licking food, spas, cafes, birding, and many more fun things! Learn about its culture and history. It is a perfect place to visit for the sports and outdoor enthusiasts. This city is full of entertainment and adventure.